First, an NC35 was tested with the original Honda exhaust system and produced a peak of 53.5hp; about the right number for a stock bike. 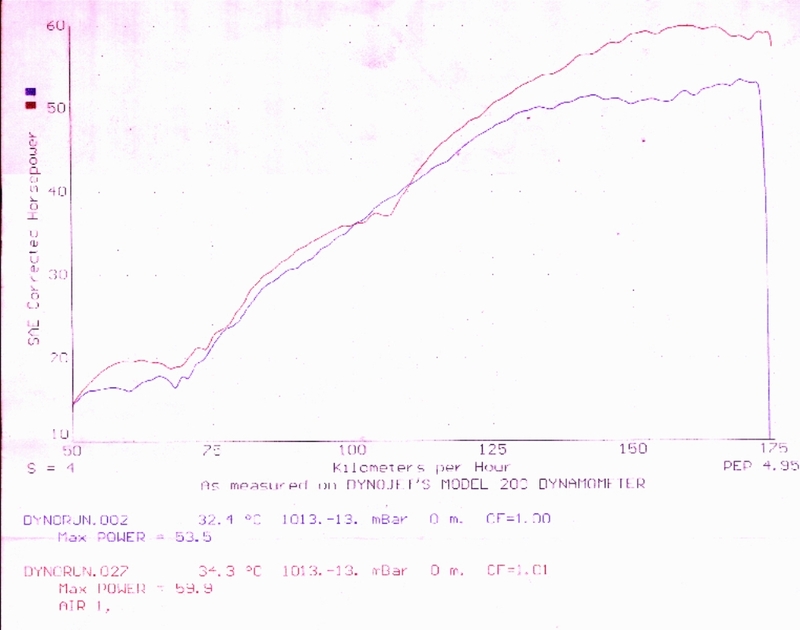 On the NC30, the advantage over the stock exhaust system can be clearly seen on the above dyno graph. The blue line indicates the complete stock set-up. Nice and smooth all the way from low down, but running out of puff quite early on. 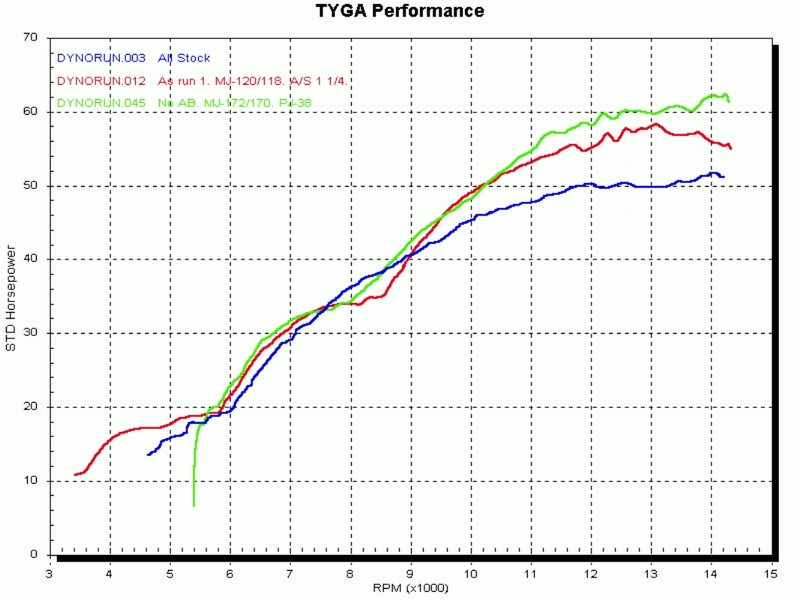 With just the TYGA pipe (red line) and a couple of main jet changes, the power leaps from a stock 52hp up to a healthy 59hp. That's 7hp, or 13.5% more. 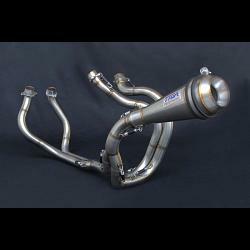 This system may not comply to specific country noise emission regulations and is not homologated for street use. Actually it is extremely loud so be warned! Screen Race Clear, 2007-12 CBR600RR, Kit.